Current student Theresa Hamman‘s poetry chapbook All Those Lilting Tongues was published by Finishing Line Press. (You can read an interview of Theresa by clicking here.) Theresa as well will see her work published in the 2018-19 edition of Red Hyacinth, the college’s literary journal. Current student Cornelius Fortune presented his paper “Perfecting Humanity, One Genome at a Time – the Curious Case of Rebooting an Entire Culture” at the (Re)Imagining Popular Culture conference at Wayne State University in 2019. Cornelius too will see some of his work published in Red Hyacinth this spring, and his poem “Storm Drain Honey (Anatomy of a Breakup)” was awarded an Editor’s Prize for innovation. Alumna Angela Colmenares has been accepted to present scholarship on Whitman’s Leaves of Grass at the 2019 South-Central Modern Language Association convention, and on “The Uncanny Nature of Cyberpunk” at the 2019 Midwest Modern Language Association convention. Alumna Elisha Baba has been accepted to present scholarship at the Philadelphia Theatre Research Symposium 2019 at Villanova. Alumna Franchesca Guzman was awarded a fellowship at the Caribbean Cultural Center African Diaspora Institute (CCCADI). Kate Oscarson has been accepted into Marquette University’s English PhD program, claiming one of only three available seats for incoming students this fall. Cheryl Kennedy has been accepted into Texas Tech’s PhD English program. David Hatami has been accepted into the EdD program at Nova Southeastern University. Marisa McDowell has been accepted into the MDiv program at Loyola University, Chicago. I’d like to further note that admission to any such program tends to be very competitive, that seats can be difficult to secure. There will always be far fewer applicants accepted into any such program than apply. Take heart, those of you who might have applied and not received acceptance into a doctoral or other program this year. You might find success if you re-apply to your desired programs in the future, or you might find success if you apply to a different selection of programs in the future. Anyone seeking advice when applying to doctoral or other programs beyond our MA program, feel free to contact me at cloots@mercy.edu (and it’s also customary to ask your thesis mentor for advice about the same). Please, all students and alumni, now or at any point in the future keep me informed of any activity you’ve been up to, including conference presentations, publications, acceptances into doctoral or other subsequent programs, work activity, and the like. It’s important for us here in the MA program to maintain a view of how our students and graduates are faring beyond the program, and to celebrate your achievements. First, we’re beginning to plan for the annual Graduate Student Symposium. In the past we’ve held this the day before commencement, and we’ll likely do the same again this year, which would mean the symposium would be on Monday May 20th. That date is still highly tentative. We’ll settle this up in the next few weeks, but for now just start thinking about if you might be able to attend and/or present a paper at the symposium in mid-May. Details and a more thorough call-for-papers will be coming soon. Second, I’m collecting information on any recent student or alumni achievements and activities (e.g. acceptances into doctoral programs or subsequent master’s programs, presentations, speeches/talks, publications, etc.) to share sometime soon on the blog. Please send any such news to cloots@mercy.edu so that we can celebrate and salute our students and alumni, and inspire others among us to their own achievements and activities. Mary Reading, a colleague of our Dr. Fritz, is chairing a panel at the 2019 NEMLA convention on the topic of: “In, Beyond, Between Bodies: Transgender Identity through Interpersonal Spaces in Visual Media.” The call for papers (CFP) for potential panelists is open until September 30. You can learn more about the CFP, including contact info and submission guidelines, here on the UPENN bulletin board (which if you didn’t know is pretty much where everyone in the profession goes to look for CFPs since the UPENN board collates CFPs from around the country and world.) You can learn more about the 2019 NEMLA convention here. Any Mercy grad students working in this area of inquiry (or interested in working in this area of inquiry) and who can be in Washington DC in March 2019 to attend the convention should put together a paper proposal and submit it before the deadline. Any questions about the panel should be directed to Mary Reading at: m.a.reading@iup.edu. 2018 Thesis of the Year, and Christie Bowl Program Honoree. The MA program now has two distinctions that it awards in May at the end of the annual school-cycle: the Thesis of the Year award, and the just-inaugurated Christie Bowl Program Honoree award. All theses completed for ENGL 599 Master’s Thesis Tutorial courses during the summer and fall of 2017 and spring of 2018 were eligible for the Thesis of the Year title. The final paper is selected by program faculty who have no thesis students’ papers in the running, and who read over drafts of thesis papers from which the authors’ names as well as mentor’s names have been removed. The Christie Bowl Program Honoree award is named for the late Joannes Christie who established and for a long time chaired Mercy College’s English Department. The annual awarding of a Christie Bowl (it is an actual bowl) to an undergraduate English program-honoree has long been a tradition at Mercy College. The Dean of the School of Liberal Arts, Dr. Tamara Jhashi, has created this graduate award to extend the distinction into our graduate program. The award, selected by the combined graduate faculty, recognizes one graduating person for her or his outstanding academic excellence and contributions to the MA program, to our graduate learning community, over the course of her or his time in the program. The winner of the 2018 Christie Bowl is Gloria Buckley. I hope everyone in the program will join the faculty in congratulating Matthew and Gloria. These were not easy decisions for the faculty to make, as the quality of theses produced across the 599 sections each year is exceptional; and all of our graduating class each year demonstrates excellence. As we recognize Matthew and Gloria let us also recognize all members of the graduating MA class of 2017-18 for their hard work and dedication. ♦ Active MA student Lynne Leibowitz-Whitehead has been awarded a Schiff Travel Grant to present a paper on John Updike’s Couples at the Fifth Biennial John Updike Society Conference at the University of Belgrade in Serbia this summer. Lynne has also been accepted to present a paper at the International Hemingway Conference in Paris this summer. ♦ Recent alum Gloria Buckley has been busy as well. She will be continuing her education in the Masters in Gaelic Literature program at University Cork College of Ireland. In the meantime she’s published two papers in the Journal of English Language and Literature: “Merlin the Political, Spiritual and Romantic Shape-Shifter in Robert de Boron’s Joseph of Arimathea, Merlin, Perceval and Edmund Spenser’s The Faerie Queene”; and “Edgar Allan Poe’s ‘The Fall of the House of Usher’: A Symbol of the Crumbling Borders of American and Psychic Consciousness and the Birth of Gothic Transcendence.” She also has a study of Virginia Woolf’s Orlando published here on the Virginia Woolf Blog. ♦ Alum Nicholas Cialini has been accepted into the PhD English program at Temple University. He will also be presenting at the International Hemingway Conference in Paris this summer. ♦ Alum Patricia Turner has been accepted into the Master of Fine Arts (MFA) program at the University of Denver. ♦ Alum Wayne Catan is aiming to present his scholarly paper “A Comparison of Dreiser’s ‘Free’ and Hemingway’s ‘Mr. and Mrs. Elliot’” at the American Literature Association (ALA) and is working with faculty member Dr. Miriam Gogol on it. Congratulations to everyone. If I have neglected to include news recently shared with me about our students’ or graduates’ activity please let me know at cloots@mercy.edu. And please, now or at any point in the future, keep me informed of any activity you’ve been up to, including conference presentations, publications, acceptances into doctoral or other subsequent programs, work activity, and the like. It’s important for us here in the MA program to maintain a view of how our students and graduates are faring beyond the program, and to celebrate your achievements. On a semi-related note, in the next week or so I will be making the announcement here on the blog about the date for this year’s Graduate English Symposium. It will fall around the 5/16 commencement, most likely on the Saturday before or perhaps that Monday or Tuesday. I’m working out the scheduling details now but if anyone hopes to attend and has a preference for one of these days, please email me immediately at cloots@mercy.edu and let me know. I will make a more specific call for papers, to get a sense of who and how many people will be attending and presenting, along with the forthcoming symposium announcement. Stay tuned. 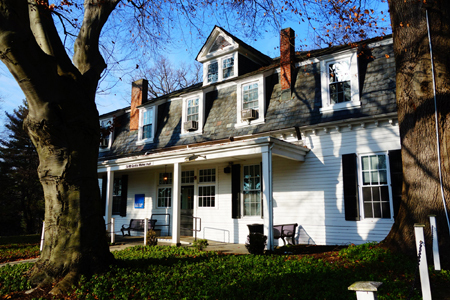 Sigma Tau Delta was established in 1924 to confer distinction for high achievement in English language, literature, and writing. It now includes 825 chapters in the United States and abroad. Membership in this prestigious honor society is something you can list on your resume under “professional organizations” and membership will also provide you with resources and networking opportunities in our field of English. To be eligible graduate students must be actively enrolled in a graduate program, have completed six credits of graduate coursework, and have a minimum 3.3 GPA. Lifetime membership requires a one-time fee of $40. If you are eligible and would like to join, please submit a $40 check or money order made out to Mercy College. (Just to be clear, we send the entirety of this fee to Sigma Tau Delta, but the college collects all fees and then cuts one check to send on behalf of our college’s Alpha Alpha Phi chapter. Any check or money order that is not made out to Mercy College will be returned to you as we will not be able to deposit it). Students may also pay in cash but you cannot send cash through the mail. You must hand-deliver cash to Dr. Horton or to the department administrator, Linda Dubiell, in Maher Hall on the Dobbs Ferry campus. The deadline for receiving this payment of $40 is Tuesday, March 20, 2018. 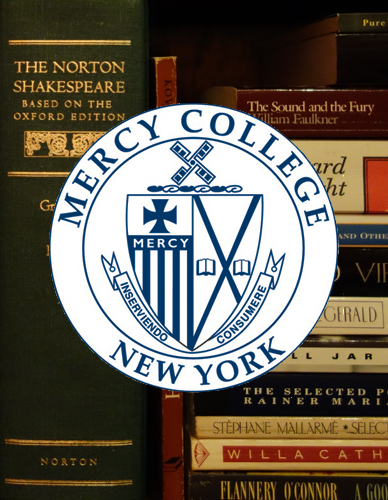 Inductees, along with family and friends, are cordially invited to Mercy College’s Honors Day Induction Ceremony taking place on Tuesday, May 8, 2018, beginning at 5:00pm in Lecture Hall on Dobbs Ferry campus with a dinner reception to follow in the Main Hall Cafe. There is no limit to the number of guests you may invite; we only ask you to let Dr. Horton know now how many will attend so that we can order adequate catering. Attendance at the May ceremony is not required for membership. We of the English literature faculty at Mercy College hope that you will join the Alpha Alpha Phi chapter of Sigma Tau Delta, a tradition here at Mercy College since 1991. If you have questions, please reach out to Dr. Dana Horton at dhorton1@mercy.edu. Interested in Joining the English Honors Society, Sigma Tau Delta? If you’re interested in joining Sigma Tau Delta, which is the International English Honors Society, registration is about to open. To be eligible graduate students must be actively enrolled in a graduate program, have completed six credits of graduate coursework, and have a minimum 3.3 GPA. Dr. Dana Horton (dhorton1@mercy.edu) is the Sigma Tau coordinator this year and is the one to contact about this, but please let me know as well if you intend to join (cloots@mercy.edu). There is a one-time membership fee, the payment of which you would coordinate with Dr. Horton. A Sigma Tau induction ceremony takes place at the end of each spring semester on the Dobbs Ferry campus. Inductees and any families/friends are invited and encouraged to attend though attendance is not required for membership. 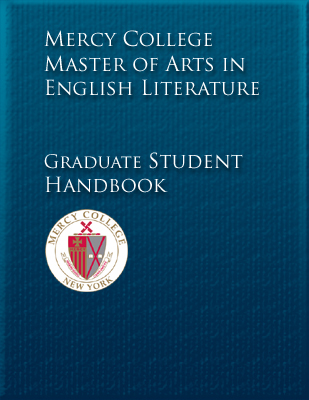 All creative writers in the MA program take note: we’re currently accepting submissions for potential publication in a new Mercy College English journal, Red Hyacinth, which our own Dr. Keckler has been designing along with other faculty and in coordination with our college’s Arts & Design faculty. The deadline for the current round of submissions is November 15. Click here to download the submission guidelines and instructions. You can also click here to download a higher-quality PDF of the poster pictured above. To find out more about the journal click here to visit the journal’s website.